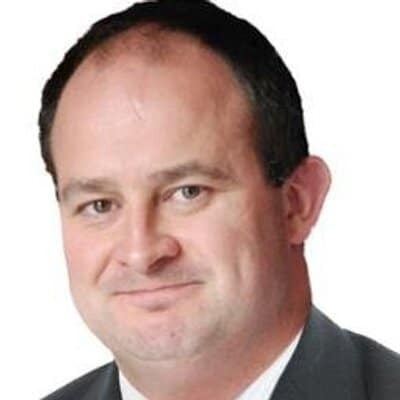 Marc Coleman is a senior manager in Ibec but also a highly rated Master of Ceremonies with a proven track record at international national and local level. Whether chairing Peter Sutherland and the Chief Economist of the World Bank, or The Polish EU Commissioner and Czech Prime Minister discussing investment in Eastern Europe or a Midlands business event in Mullingar, Marc brings the same professionalism to all the events he chairs, using his expertise to masterfully guide panel debates and discussion to the satisfaction of audience and panellists. As a former economist with the ECB and Department of Finance, an accomplished and best-selling author, a former Economics Editor of both the Irish Times and Newstalk, a former Newstalk radio presenter and a former Sunday Independent columnist Marc blends an unrivaled combination of policy expertise and communications skills in his current roles. Qualified to a high international standard he combines a mastery of policy detail with smooth communications skills. Having chaired many meetings in his career, he excels at bringing a room to life, getting the best out of each speaker and turning a panel of individuals into a group. His track record of testimonials speak for themselves. Marc now works for Ibec in a Senior Management capacity and hosts and organises events regularly in his professional capacity. – “Unlocking Ireland’s potential in Asia” (2014) is the first thorough analysis of how to increase Ireland’s share of Asia’s burgeoning economy. – “Back from the Brink” (2009) analysed causes of the global crisis drawing on my ECB experienced and set out paths for recovery for Ireland and the world. – “The Best is Yet to Come” (2007) predicted Ireland’s crash but bucked the trend by also predicting a strong recovery. Ireland is now Europe’s fastest growing economy. – Wrote a leading weekly economics column for the Sunday Independent (2007-2014), read by up to a million readers. – Won the 2014 Justice Media Award for national radio. Marc holds a scholarship MBA from the Smurfit Business School, the prestigious Advanced Studies qualification from the Kiel Institute of World Economics, a Masters in economics from UCD. He is also a member of ACCA. He has been published in the ESRI Quarterly Review, Financial Times, the Irish Times, Studies magazine and several other publications. He has presented economic papers and forecasts to the Dublin Economics Workshop, The Prague conference on Central Banking, the Enterprise Ireland CEO Conference and several other fora. Marc is an outstanding event host, Master Of Ceremonies and workshop facilitator. “Marc chaired our discussion perfectly – facilitating a balanced and robust debate amongst our contributors while providing his own insightful comments, he steered the conversation effectively and ensured the audience had a very enjoyable experience”. Gary Finnerty organiser of the Trinity Economic Forum on Marc’s chairing of the panel debate including PWC Head Tax Partner Feargal O’Rourke, ESRI chief economist John Fitzgerald Feb 15th 2014. “Very knowledgeable across all areas of the economy, Marc kept the debate alive through his ability to ask the right questions of interest to an audience of over 200 people”. Kevin McLoughlin Head of Tax EY (Ernst & Young) on Marc’s chairing of the EY Budget 2014 briefing event in the RDS Oct 15th 2013. The above list is not exhaustive and several other high profile and international reviews are available if needed.